Posted on 7, September 2018 by EuropaWire PR Editors | This entry was posted in Energy, Gas & Oil, Internet & Online, Technology, United Kingdom and tagged Ahmed Hashmi, analytics, Baker Hughes, BHGE, BP, Cloud, gas, oil, Predix. Bookmark the permalink. 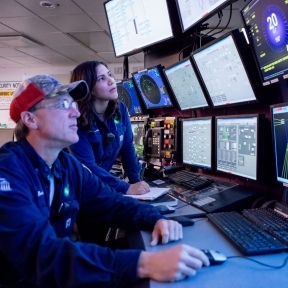 HOUSTON, TX, USA, 07-Sep-2018 — /EuropaWire/ — BP announced today that it has successfully deployed Plant Operations Advisor (POA), a cloud-based advanced analytics solution developed with Baker Hughes, a GE company, across all four of its operated production platforms in the deepwater Gulf of Mexico. BP and BHGE announced a partnership in 2016 to develop POA, an industry-wide solution for improved plant reliability. The teams have built a suite of cloud-based Industrial ‘internet of things’ (IoT) solutions that have been tailor-fit for BP’s oil and gas operations.